Geneva: At least a hundred ministers gather here on Monday for a World Trade Organization (WTO) conference where they are likely to renew pledges to freer world trade while avoiding hard bargaining to secure an overall deal under the Doha Round. The Doha Round of talks, launched in the Qatari capital in 2001, has foundered ever since on sharp disagreements between developed and developing nations on tariff and subsidy cuts. While previous ministerial meetings have been venues for governments to make detailed offers and counter-offers, WTO’s 153 member states have decided Doha is not officially on the agenda in Geneva. The US in particular will be under the spotlight. “The question is whether some countries will start the blame game against the Americans," said a European diplomat who declined to be named. Since the change in administration in the US, the new US trade representative, Ron Kirk, has revealed little about the Obama team’s position on Doha. During a visit to Geneva in May, Kirk said WTO member states should consider a “new path" in order to get a swift conclusion. “We should all be willing to consider changes to the process that would put the negotiations on a more direct path to success," said Kirk after his first visit to WTO. But since then, little progress has been logged. Diplomats in Geneva have said the fact that the US mission here still has no ambassador to WTO suggests an absence of real interest on the part of the US administration. “Central to the deadlock is the Obama administration’s hesitation when it comes to trade policy," said Anne Laure Constantin, project officer at the Institute for Agriculture and Trade Policy. “Caught between Congress—where influential voices still insist on more market access for US based firms—and disillusioned workers’ unions advocating for trade policies that benefit workers rather than shareholders, President Obama is unsure," she said. On Sunday, European businesses, growing frustrated at slow progress in the Doha Round, called for WTO to speed up negotiations next week. “At some point of time all WTO members will have to make up their minds on the conclusion of the round," said Carsten Dannoehl, senior adviser for international relations at BusinessEurope, the EU business lobby. “What could be a better moment than a WTO Ministerial Meeting that gathers the whole membership?" he said. BusinessEurope is expected to issue a call during the conference for the WTO’s 153 members to focus on concluding a Doha deal, which would cut industrial and agricultural tariffs, slash farm subsidies and open up trade in services. 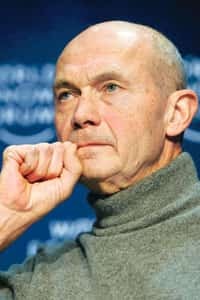 WTO director-general Pascal Lamy says a Doha agreement is 80% complete. But mindful of previous WTO conferences that broke up in acrimony, he wants to avoid submitting an incomplete proposal to ministers. “Of course, there will be a discussion, but what there will not be is a ministerial decision on options, texts, which are on the table... It simply is not ripe for this kind of thing," he told reporters on Thursday. Political leaders have called on WTO members to reach a Doha agreement in 2010, but Lamy has said negotiations will have to speed up to meet that new deadline. Members will take stock and decide whether 2010 is realistic early next year. Meanwhile, another key player in talks, the European Union, will lose its trade commissioner, Catherine Ashton, on the second day of the WTO ministerial, as she is due to step into her new post as EU foreign policy chief. Ninety-six ministers from member states of WTO and another nine ministers from non-member states will attend the three-day conference that closes on Wednesday.